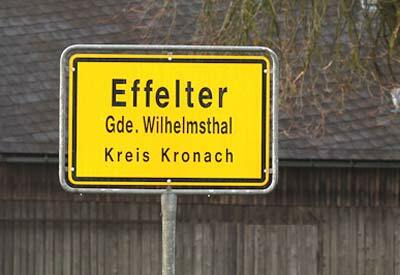 Effelter is a small village with a population of 280 in the northern part of Bavaria.The village is producing 200% of its electricity consumption and all its heating needs with renewable sources, mainly with local biomass. All the power plants are citizen-owned, which has proven to be a key to success. 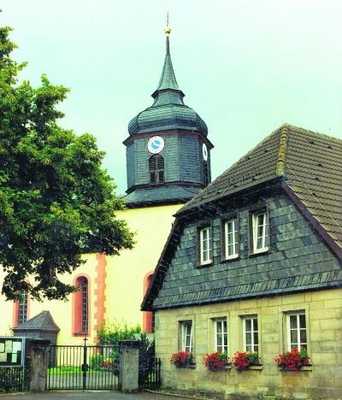 Effelter's renewable energy progress began in 2001 with one biogas plant, which garnered the interest of the community. The biogas is used in two 65 kw combined heat and power units. These, along with a 500 kw wood chip boiler that provides extra backup in winter, supply all Effelter's heat requirements. The heat is distributed into each house via a 2.4 km / 1.4 mile long hot water pipe network. The people of Effelter have also installed 160KW of rooftop solar pv. This, along with the biogas fueled combined heat and power units, produce more than twice the electricity the village needs with renewable sources. Effelter is a strong example of how to achieve environmental stewardship and added value in rural areas by sustainably increasing the uses of raw material and waste from the agricultural and forestry sectors.The main sources for the biogas plant are agricultural waste, liquid manure from the local farmers and grass. The wood chips are made from by products from the local forest. The byproduct of the biogas plant is used as a fertilizer, as are the ashes from the wood chip boiler, which nourish the forest. This is an environmentally and economically sustainable cycle in action.